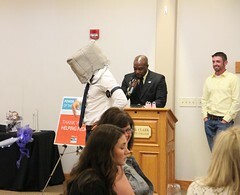 United Way’s Southwest Illinois Division held its first-ever Power of the Purse event, a purse auction to benefit United Way, on Thursday, June 4 in Edwardsville, IL. Nearly 200 women came out for a night of fun, designer handbags, delicious food and friends at Lewis and Clark Community College’s N.O. Nelson Campus. 2015 Miss Rodeo Illinois, Ariel Weinman, also made a special appearance and volunteered throughout the evening. 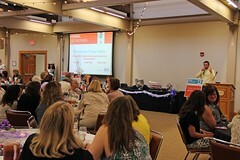 Thanks to your generous support, Power of the Purse raised ,083 to help local people through United Way.